Oretta Smith to Retire in 2019 — and Will Be Greatly Missed! 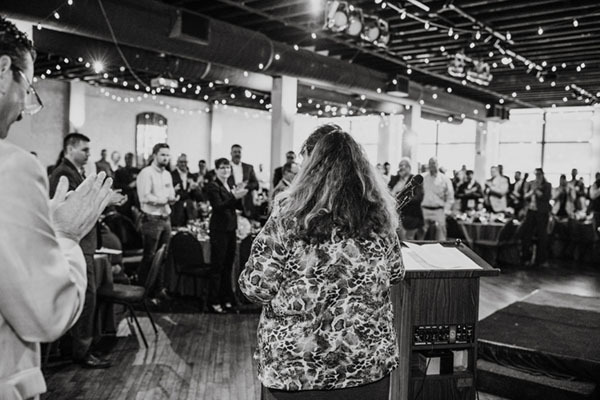 It is with mixed emotions that the 2019 DBIA-MAR Board of Directors announces the retirement of our illustrious Executive Director, Oretta Smith. While we are thrilled for Oretta to signify the end of her remarkable career with a well-deserved break — we are also sad to see her go — and will miss her hugs, commitment to the organization and overall positive outlook on all things DBIA! Oretta will officially retire as Executive Director of DBIA-MAR on May 31, 2019. 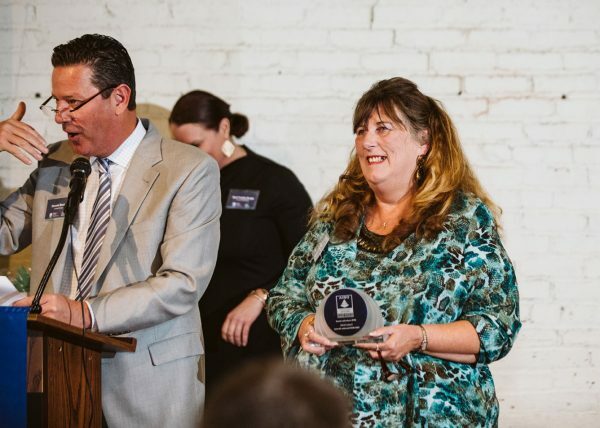 “Oretta has been the Executive Director for the Mid-America Region for 13 years and in my humble opinion, she is the best ED in the country,” said 2018 DBIA-MAR President, Dennis Burns. “She does so much for all of our members that many people aren’t even aware of, she makes it look easy. She’s a true pro and carries the DBIA flag with class and professionalism all the time. We are going to miss her dearly. She has put the Mid-America Region on the right track and we are poised for continued success because of her stewardship, passion and vision! From the bottom of our hearts, we’d like to thank Oretta for her commitment and dedication to DBIA-MAR. In late 2018, a committee of invested DBIA-MAR leaders and volunteers was formed to spearhead the recruitment efforts for the next Executive Director. To ensure a transparent and professional process that attracts the highest level of talent, the committee has engaged Aerotek — who has graciously offered to help identify and screen candidates for the position. Aerotek is a global recruiting and staffing agency that has been a DBIA-MAR Bronze Sponsor for several years. We are grateful for their assistance in this important endeavor. If you or someone you know is interested in applying for the DBIA-MAR Executive Director position, please contact Aerotek Account Manager, Tim Zande at tzande@aerotek.com or 913.905.3004. Please share this information with your networks to help us attract the most qualified candidates as possible — and give Oretta a big hug next time you see her. We are excited to find the next Executive Director to lead our outstanding organization and continue the tremendous momentum building within DBIA-MAR. We will provide periodic updates as this process progresses.